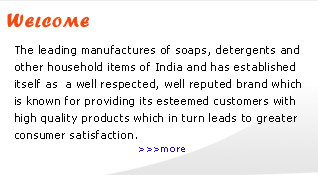 Mission – Our mission is to excel in our field of soaps and deteregents, through continuously providing our esteemed customers with higher quality products at attractive rates. 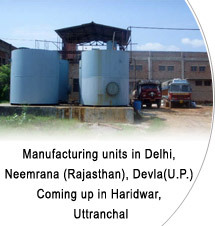 Keeping in mind the interest of the stakeholders try to achieve higher profitability by efficient and dedicated working. To be able to make India’s presence felt in the global arena. To set a benchmark for newer upcoming companies to inspire them to be able to move forward. Vision – To be the leader in the domestic as well as the global markets through sincere and dedicated efforts of the staff management and employees.